FAST RMX was a standout title in the Switch’s launch library, carrying on the dream of F-Zero with its high intensity futuristic racing. Since then, the game has been occasionally tweaked with new updates that add in new content and extra features, and the latest of those has just received a release date. 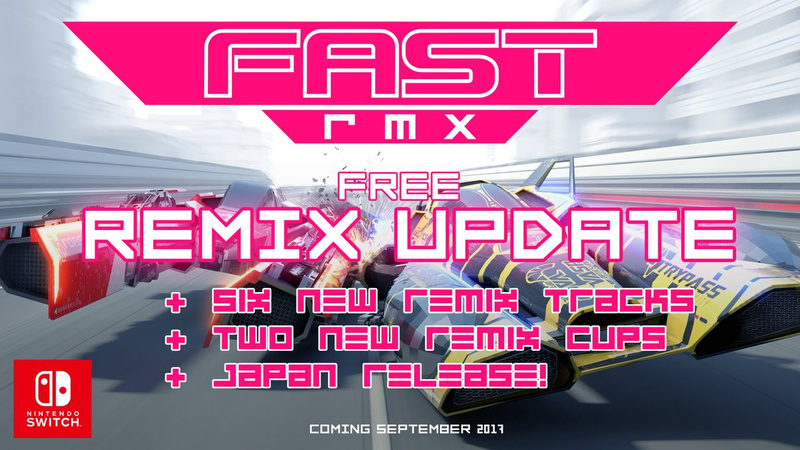 FAST RMX version 1.3 will launch on 13th September, just one week from now. Last time we got an update it added in a new time trial mode, and this update will similarly expand on the game by including six new remix tracks and two new remix cups. We’ll have to see exactly what they mean by “remix” when the DLC launches next week, but it’s nice to see the company continuing to give back to the fans like this. And for those of you that haven’t bothered with this one yet, now’s as good a time as any to see what the fuss is about. What do you think? How have you liked FAST RMX? How long do you think they’ll keep supporting it? Share your thoughts in the comments below. Never enough free. Things like this are how you keep interest with a game, kinda like splatoon drip feeding content. It's taken me a few hours, but I'm starting to get the hang of this. It's been a lot of fun! Looking forward to the new tracks. @Kalmaro haha you must really like this site. You're almost always first to comment. Are you subscribed to some service that notifies you when a new article is posted? Something like that would be very useful. I love this game! I think it's a lot of fun, but ever since I bought Mario Kart 8 DX I can't convince anyone to play it with me anymore. They all say it's too hard. I just tell them that it just is more skill based. Either way I'm excited for the new tracks! Version 1.3 = 13th September. Coincidence? I think not. @WillTheLion in a way, I am! But I really do like this site a lot. Also, I'm in the same boat as you. This game was fun but then Mario kart came and I just can't bring myself to play this game anymore. I like racing but I'm just not THAT good yet. I'm excited for this! I love Fast! @Tyranexx I had the exact same thought. Nice one.I've not played it in a while but I'll certainly give the new remix tracks a go.The graphics are outstanding,so much better than the Wii U version.I enjoyed the Wii U version but never really loved it,it was a bit rough around the edges.The Switch version fixes most of what was wrong with the original and it just feels better overall to control.Great game! I don't know what it is but I seem to play this game so much better on the Switch than the Wii U version. In the latter I could only do the slowest speed cups; on Seitch I can do fairly well at highest speed. Looking forward to more content and maybe even a physical release in the future. I really enjoy this game but lately it's been freezing on me in the vehicle selection menu so I can't play the game 😥 I think my game is bugged. @leo13 I don't.They should keep the new content for a sequel,instead of a port.Why do we have to pay again for the same tracks we played on Wii U instead of getting only new tracks? This is probably the same reason Switch won't get a new Smash Bros.They added so much stuff to the one on Wii U/3DS that they're just going to make a port. King_Johobo, I had an issue with the game freezing before, only this and NBA Playgrounds. This was resolved by restarting my machine(power off and on again). Kudos to the developers dropping more content for free will be watching to see what they do for their next full release..
Having great fun with this game, technically very good, one that can be used to show off the promise of the switch in my opinion. Love this game, I 100%'ed all the current content so I'm stoked for a new reason to jump back in. One of the first games I picked up when I purchased my Switch. It's a great game. @Curlynob Same here. Gives me that F-Zero/Wipeout feeling of nostalgia. Can I play Grand Prix and unlock things in multiplayer yet? Almost starting to think they should make new games in stead. But this gives a good impression of the devs. I'm wishing for a surprise tweak of the Championship AI so that it becomes "fair" in later cups. Make the AI like it is in Hero mode, and not something that can go pass you easily even when you're at full speed with boosting, and that you can't never catch back. @Ikana64 Unfortunately not! A friend and I found that a bit disappointing when I first got it as well. @Randomname19 Not everyone has a Wii U. Not everyone who has a Wii U bought FAST Racing NEO either. @NinNin I miss the days when,if we didn't buy a previous gen console,we simply didn't play the old games.Better than having them ported years later instead of getting new ones.If people didn't buy a Wii U,its their fault.Even tough Nintendo didn't advertised it very well on tv,people still saw the consoles in stores,websites and social networks. @Randomname19 Many SNES games are on the GBA. Many games on other consoles are on the PSP. Remastering/porting is nothing new. By the way, it doesn't matter whose fault it is. 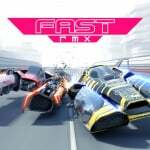 The point is that there are a lot of people who have never played FAST Racing NEO, and thus Fast RMX is a new game for them.